We are publishing an interview of Mr. Suresh Rangarajan – Founder, CoLife. Suresh Rangarajan K (SRK) is a passionate & intense start-up professional. A Chartered Accountant by profession he is an Alumni of the Yale School of Management. He was a part of the founding team of Citi-Times JV TimesOfMoney.com. Suresh founded CoLife in 2016 – a company that offers shared living & workspaces for Indian Millennials. 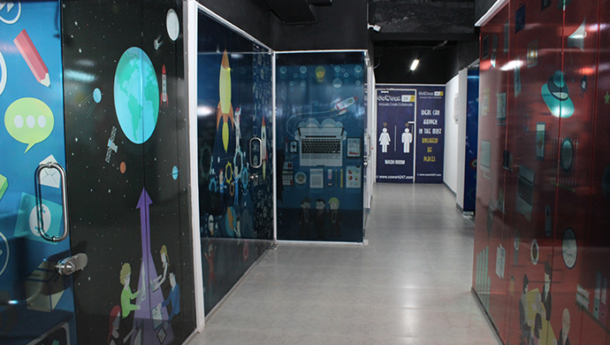 Headquartered in Bangalore, it currently operates across 12 different locations. He was conferred the prestigious Udyog Rattan award and WCRC. Ernst & Young also awarded him the “Trend Setter in Real Estate”. 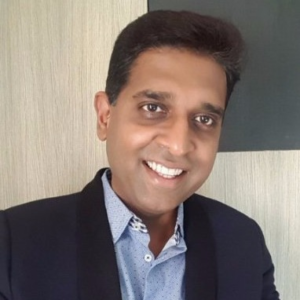 Suresh continues to hold board positions in Artha and Brand Accelerator (a startup marketplace) and advisory roles with more than half a dozen startups including Vear, Ubinga, TherPup. Brief background of what founders were doing before starting the venture. One of the early adopters of the internet world, Mr Rangarajan was a part of the founding team of Citi-Times JV TimesOfMoney.com. Under his enterprising leadership, remit2india.com went on to become the world’s #1 online money transfer portal & one of the most successful internet businesses in India. SRK then founded an innovative real estate enterprise called Artha. The highlights of his stint at Artha include the path breaking Startup City & Knowledge Park – Emprasa. Please let us know about skill-sets, specific domain expertise & designated roles of core team members. We are complemented by a hardworking and dynamic team, that consists mostly of millennials. We value our talent as much as we value the customers. This is why we believe in enabling them to grow rapidly within the organization. We do our best to fill positions from among the talent pool available to us at the organization. This usually requires investments in the short run but provides vast benefits in the long run. A study conducted by CoLife prior to starting out reveals that there are at least 25 lakh migrants in the city, most of them in the 18 – 30 age group who want hassle free and affordable accommodation. The demand for office spaces in the metropolitan cities are at an all time high, however, the available rental spaces are either too expensive or unappealing. This is where coworking has been a blessing particularly to startup founders. Our Eureka moment was when we realized that there was a huge gap between demand and supply. On one end, developers were struggling with an excess inventory while on the other end millennials were suffering with a lack of supply of quality options. This presented a huge opportunity of trying to bridge this enormous gap. Enter CoLife, wherein we offer tailor made fully managed homes and office spaces – a great relief for the discerning millennial and an extremely lucrative ROI for the owners! I was a first generation entrepreneur and as I said earlier, one of the foremost adopters of the Internet boom in the country. We had an extremely ambitious plan of being the “financial supermall” for the masses and we succeeded beyond our wildest dreams. The fact that we launched when a lot of dotcoms across the world were going bust gave everyone in the team plenty of sleepless nights. But we overcame all these odds and went on to become the world’s number one portal for online money transfer and one of the most successful internet businesses in India. Since I was already a part of the startup ecosystem, it was honestly a little simpler for me when I was launching CoLife. We recently received $1 Million in funding from private sources. What is notable is that we have quickly turned profitable and have been scaling quite rapidly. Please tell us about the Product / Solution. CoLife is a network of shared living & work spaces and operates under the brands CoLive247.com & CoWork247.com respectively. CoLive247.com, an affiliate of Co.Life, that operates a network of shared living spaces across the city. The homes are fully furnished, enhanced with luxury amenities & are conveniently located near workplaces.CoLive247 is revolutionising how valuable and expensive residential apartment space is divided up in a metropolitan city to ensure that the space is used in a cost-efficient & optimal manner. The shared living spaces are aimed urban conscious and as a characteristic are delaying marriage & families. 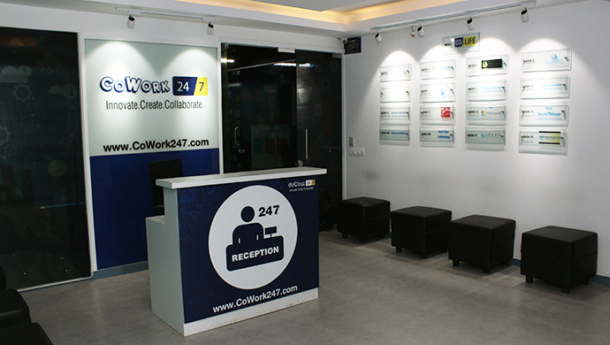 CoWork247 is an innovative office rental company that rents trendy spaces to the Small & Medium Enterprises (SME) segment that includes professional firms, technology companies & new-age startups looking for offices & flexible co-working spaces. 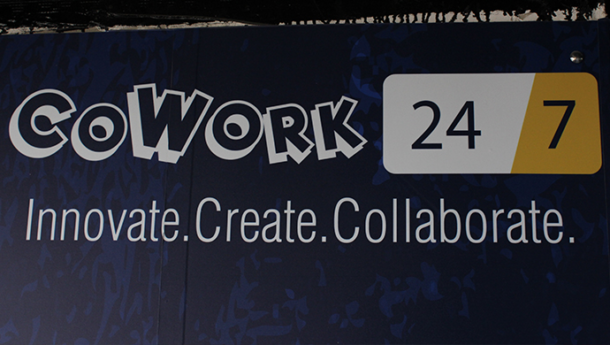 CoWork247 is a buzzing venue that brings together a global community of professionals, thinkers, doers & entrepreneurs. 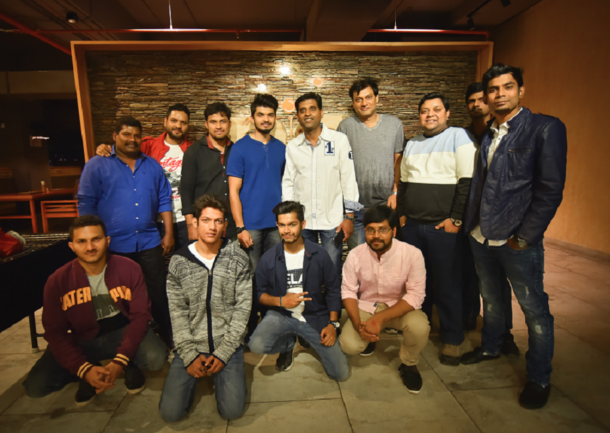 The company regularly hosts events as well, mostly catering to people from the startup ecosystem which makes networking far easier. It was conceptualized on the bedrock of community engagement, as an effort towards building a networking forum for Millennials to cooperate, collaborate and communicate seamlessly. Millennials are rapidly overtaking the “baby boomer” generation in the country and they make up our largest customer base. The market studies that we conducted prior to starting out revealed that this generation craves an authentic and personalized experience as customers. The sharing economy has gained an unprecedented popularity among this generation that is perceived as “selfish and entitled”. We developed a blueprint for CoLife keeping in mind the insights that we gained through the studies that we conducted across Bangalore. We focus on the numerous tiny details that make up the bigger picture and this has ensured that our customers have the utmost trust in us. We have dedicated community managers in each of our spaces who take into account any complaints or suggestions that users have. We also encourage the users to co – create our brand with us, so all suggestions that they give us are taken into account and inculcated whenever we find them relevant. Since the safety of our residents is of utmost importance to us we are also one of the first coliving space in the country to take concrete steps to ensure this. To this end, we have partnered with the developer of a safety app called Ausadhyatmika. We also run self defense classes, dance lessons and baking classes for the female residents. We operate in 12 different locations across Bangalore and were acknowledged as one of the market leaders in the space within a few months of our launch. There are numerous players of International and local renown who have launched in the space recently; we count every one of them as our competition. We operate on a premium model. CoLive leases blocks of apartments from owners on a long term lease and rents them out to millennials as managed apartments. The apartments are fully furnished with appliances. The network also provides access to a vibrant community of like-minded millennials. Amenities like a games room, fully equipped gyms and dedicated spaces to interact with the fellow community members are included. The rent model operates on an all-inclusive one time payment of rent+maintenance+utilities. These utilities, services & amenities are provided at Rs. 750 per month over the rent which starts at Rs. 5,000 per month. The refundable security deposit is 2 months of rent, which is one of the lowest in the market. At CoWork, we operate a in similar model of taking large floor spaces on rent and then subdividing them and offering them on rent to professionals, startups and SMEs. Round the clock Wifi, access to a well stocked cafeteria, use of the conference rooms and other basic amenities are included in the price. We charge a fixed rent to both CoLive and CoWork customers and operate at a 40% margin. Our target customer base mostly consists of millennials, particularly for the graduates who have just started with their professional lives. We have tailored our services particularly for those who are new to the city. The hassles of finding accommodation and forming a support network are solved in one swoop by opting for CoLive247. A number of couples who live in together also also opt for our spaces. We have been growing organically and have seen success to a much larger extent than I could have ever imagined. Getting our first paying customer was the “aha” moment that we needed and gave us the confidence to keep evolving. The entire essence of coliving and coworking is inherently connected to entrepreneurship. It is definitely the way ahead for a young country like India where space particularly in the urban areas is becoming a luxury. We are trying to achieve a greater goal and do away with traditional notions where sharing a house or office is merely about saving money. The benefits associated with it are numerous. Since inception, give us a sense of the value of business done by your venture? Please explain in details. We reached 1000 Keys/Members in less than five months since inception. Our growth has been rapid with 100% q- o- q growth. The customer reviews have so far been mostly positive. We ensure that any complaints are dealt with immediately and are constantly looking for ways to improve the coliving and coworking experience. We hope to reach 10,000 keys within the next couple of years and are targeting revenues of Rs.100 Crore within this period. We are also launching a unique SaaS based app & inventory management system that will help organize the unregulated PG market across the country. A plan to expand to other cities in the country with a large urban millennial population is also in the pipeline. The one quote that I live by is “When the going gets tough, the tough get going. I believe that every single entrepreneur, whether they succeeded or failed in their venture is already a winner. They displayed the courage to set out on their own, which most people still do not. Do not see your business merely as a money making machine, seek trust and respect and the profits almost always follow. Most importantly, do not seek to startup just because it’s a trend do it only if it makes you happy. However the most important tenet that I have learnt is that it’s essential to have a work – life balance. I have seen too many young entrepreneurs glamorizing the concept of pulling all – nighters. The truth is that instead of increasing productivity, it tires you out, makes you careless and you begin to lose the passion that you started out with. We recently launched a luxury coliving space for women, the first in the city, called Hermosa Muer. The facility offers many firsts towards building a commune for women professionals and students who can freely collaborate in a self-sustained ecosystem. Apart from a state of the art gymnasium and swimming pool, the facility will also offer a string of features including Zumba dance classes, Self-defense and Safety training, an exclusive female fitness trainer, cooking & baking classes. CoLife has also drawn out exclusive offers and discounts with partners like TherPup– Bangalore’s first & only pet café, Bangalore’s leading salon Play and a popular brewery in the city called Brew & Barbeque. Thanks Mr. Rangarajan. All the best!